OUR PROGRAMS ARE DESCRIBED HERE. 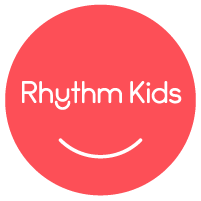 Rhythm Kids 4 - 5 follow through on the Music Together® vision to help children complete the pathway of early childhood music development from birth through age eight. * have fun with a host of rhythm activities. * Enjoy age-appropriate ways to play rhythm instruments (shakers, tambourines, etc). * Participate in active musical games that are both enriching and totally fun! Students should have their own hand drum for use at home and in class.